The images are courtesy of Rick Turner, British Micromount Society. These images was obtained using an Olympus DP12 camera attached to a Wild M7A stereomicroscope. FoV is approx 1mm. 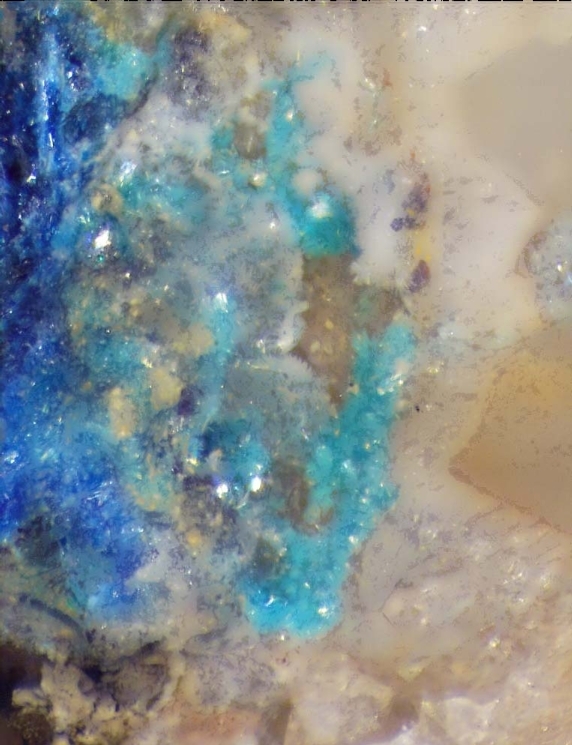 The light blue is the mattheddleite, the dark blue linarite, and the white mostly leadhillite. The specimen comes from Red Gill Mine, in the English Lake District. The whole stack is composed of 10 color images of 1024x768 pixels.